Organized by Presans, the 2019 edition of DYSTOPIA‘s theme is the convergence and interactions between technology and the human, apprehended through technologies related to artificial intelligence, human-machine interfaces, and social networks. In this article, we explain why we are organizing this event. Technological progress is accelerating and carrying with it unseen consequences for our individual, social and political lives. In exchange for a promise of an indefinite extension of our life span, our intelligence, our happiness, it goes so far as to question the biological and cultural structures that make up our anthropological base. Every new intelligent object, every new interface, every new networking insensibly contributes to a utopian relationship to history and reality. By our consumption choices, we seem to be the actors of this utopian relation to time. Each step towards technological utopia, however, also invites us to question the negative aspects that it would hide: not to indulge in negativity, but to give new impetus to our individual and collective lives and bits of intelligence. … in a changing geopolitical context. The Black Mirror series (2011-) remains essentially at the level of impact on the individual. Many episodes explore scenarios of increase, or alteration of memory or perception, of virtual consciousness. Except for an episode in which a clone appears, the way in which individuals come into the world is not thematized. Similarly, political reflection is not present as such. 1984 (1949) is a dystopia that is fundamentally at a political level. Likewise, countries that deviate from Western political norms often provide an opportunity to feed a dystopian imagination. The case of “social credit” systems in China could be a case study of this type of reaction where ignorance of the local context is combined with the projection of anxieties generated by the worrying aspects of the development of our own societies. Brave New World (1932) is a dystopia that goes all the way to the anthropological level, passing through the three previous ones: individuals come to the world especially in incubators. It is at this level that part of Michel Houellebecq’s work is also situated: what is questioned goes far beyond the question of political form, or individual happiness, while encompassing these questions. 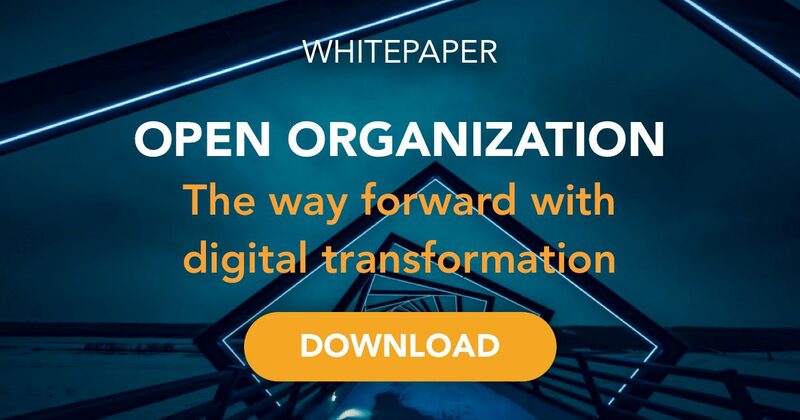 It would be a mistake to remain at the first level for DYSTOPIA, whose general theme this year is on digital transformation. As an example, each of us sees the contours that emerge from a smartified world, where everything tends to become a service. In this world, it is not difficult to imagine that political and anthropological regressions could be accompanied by apparent gains in individual freedom. The dystopian potential of life as a service, of life as a service, has no limit. Before going any further, it is first necessary to further refine the technological themes that will be addressed. Technologies that obviously raise concern do not necessarily offer the best dystopian potential. Dystopia is more effective when it has an ambiguous appeal. In particular, the military applications of a technology are not in themselves dystopian. These three themes remain fairly general and can include a wide variety of concrete technologies, such as deep learning, virtual reality, neural interfaces, the decentralized web, big data … the technologies envisaged can also be more speculative, by example the so-called general AI. The current historical moment seems to be marked by the rise in many countries of oppositions to globalization, in the form of populist movements, restrictive trade policies, attacks on “neoliberalism”, protest parties and localist tendencies. These positions are sometimes accompanied by appeals to national interests and cultural traditions. This new state of mind means a break with the earlier paradigm of globalization, based on the leading role of international institutions and the ideal of global citizenship. After two decades of moderate tension, we are witnessing a resurgence of geopolitical rivalries between major powers. The horizon of the end of history, economic convergence and technological globalization is disappearing, revealing the still indistinct contours of a new and uncertain world. Technological progress, and in particular the progress of digital technologies, ceases to appear simply as what liberates us from our historical affiliations by involving us in the construction of a universal and inclusive utopia. Under the harsher light of the coming era, the world of digital utopia, which is often said to swallow everything, is structured by relationships between unequal forces. In this world of power relations, France and Europe are today the digital colonies of other powers. This situation could be dystopian in more ways than one. Under the promise of a wealth created by openness to all could indeed hide a terrible impoverishment of our creative ability. Is this how we will respond to major global technological and energy challenges? Is this how our country can build its future? Is it not the existence of a plurality of centers, of real diversity of actors that has always been the key factor in advancing science and technology, in digital as elsewhere? 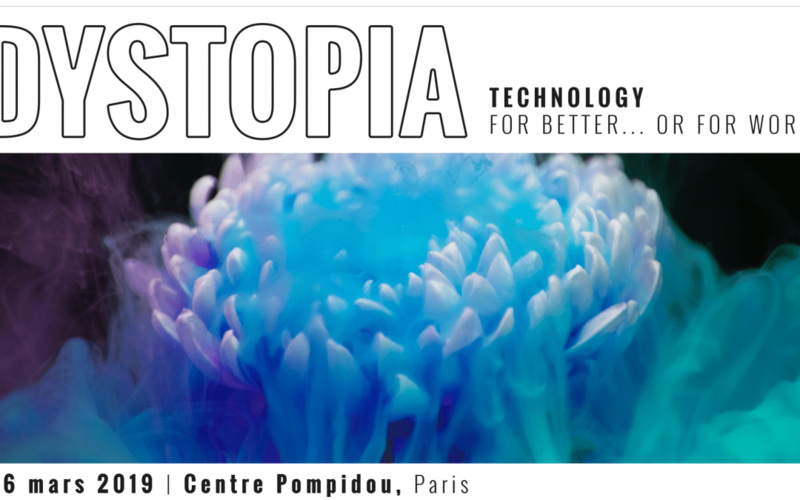 Thus, DYSTOPIA wants to be the reference alternative tech event to break in beauty with the false charms of utopia and to get rid of a naïve relation to new technologies, by crossing views from the industrial, academic, artistic worlds and intellectuals. DYSTOPIA provides access to cutting-edge expertise in concrete technologies, in order to consider the ethical, societal and philosophical issues that these technologies raise.